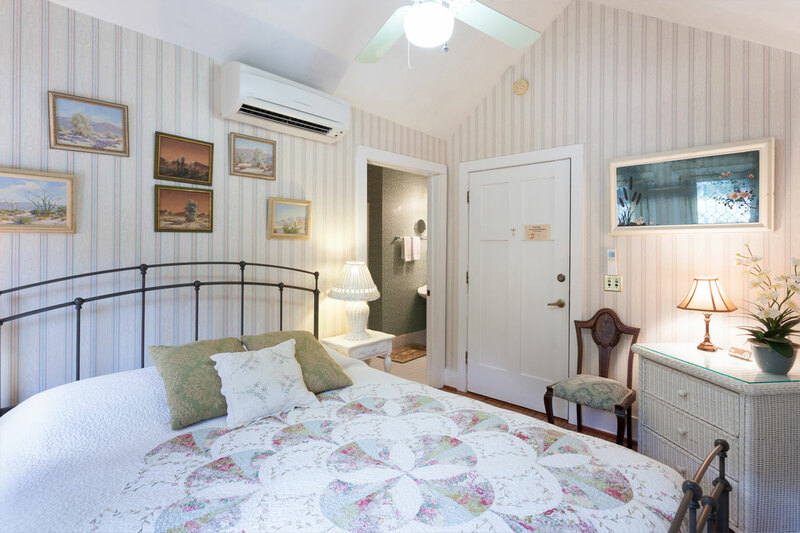 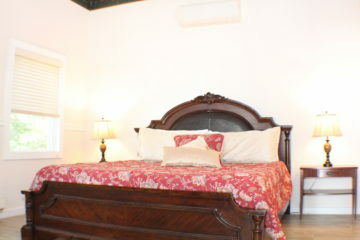 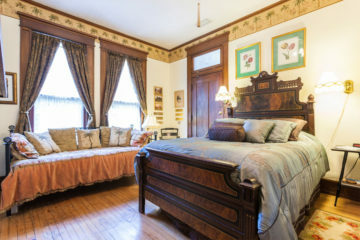 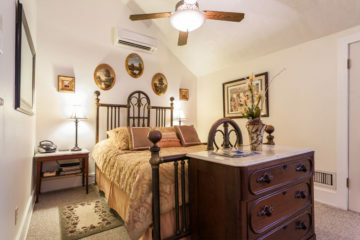 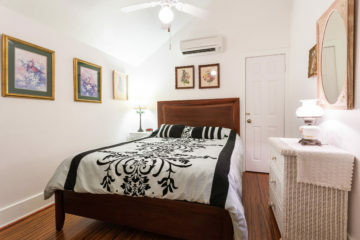 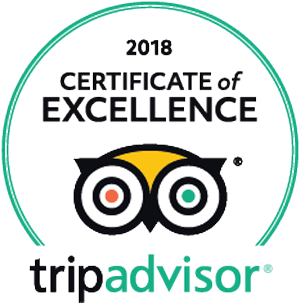 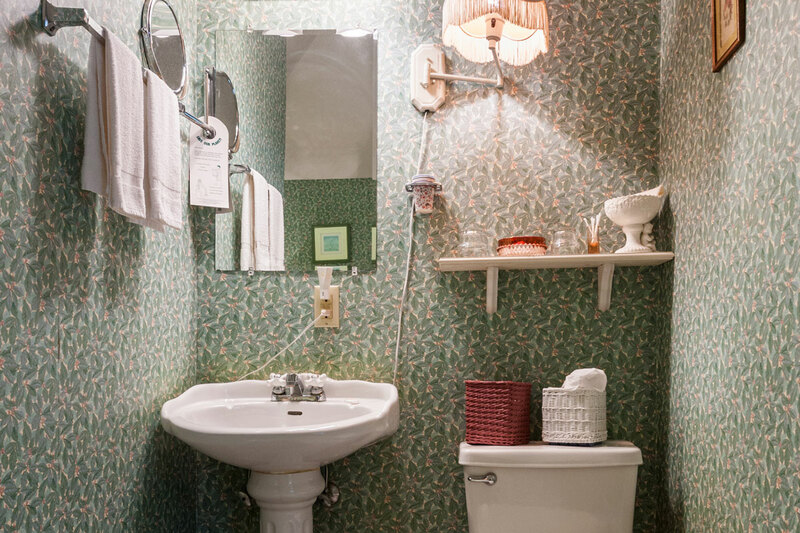 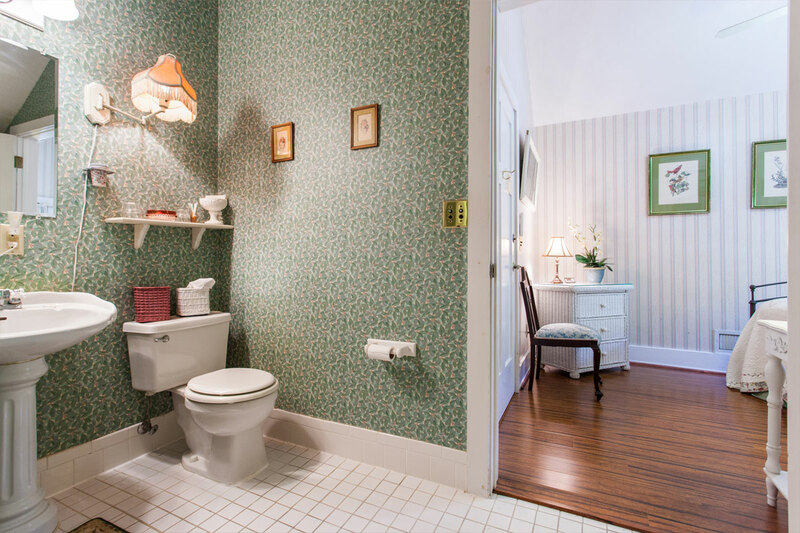 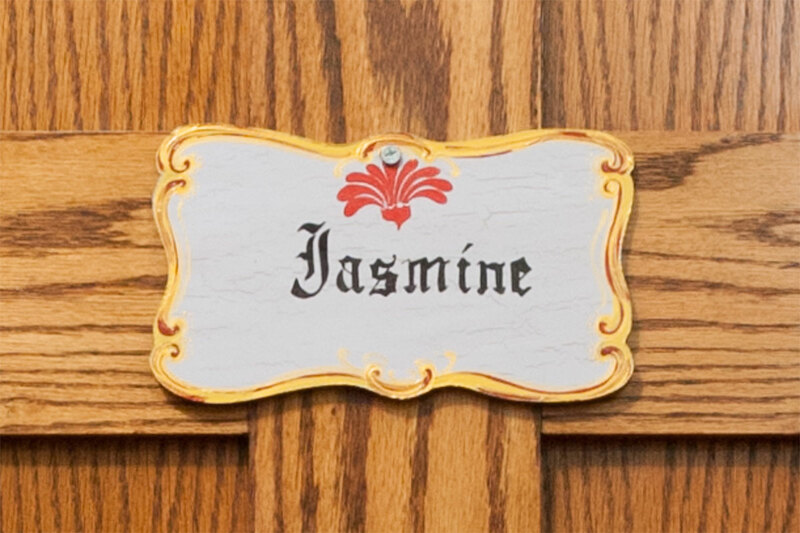 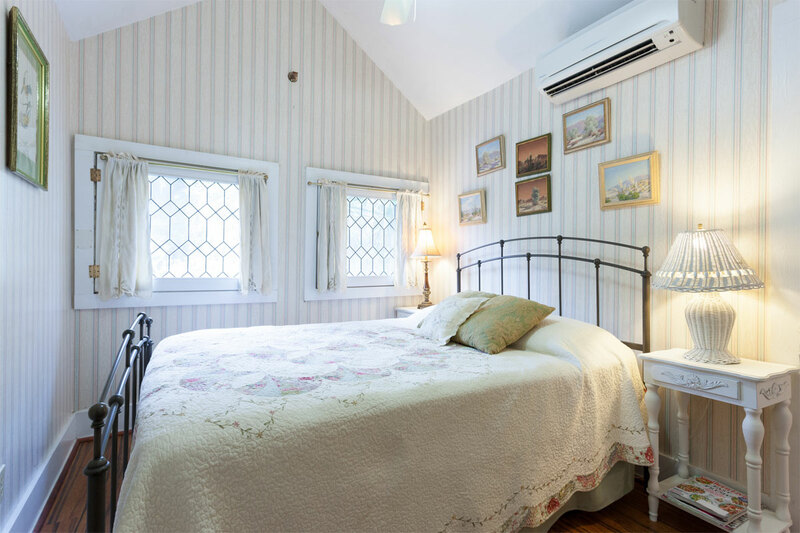 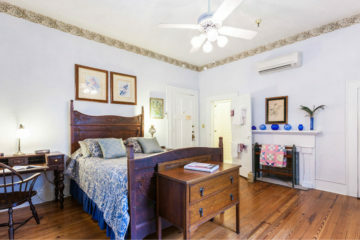 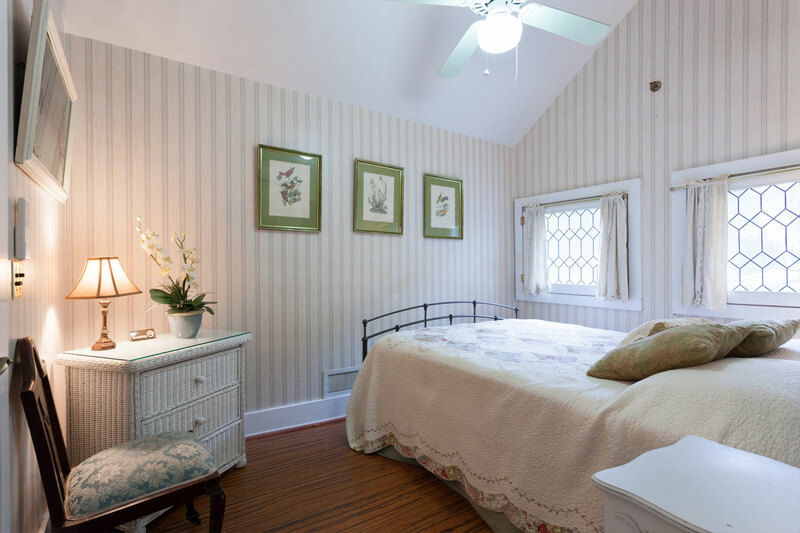 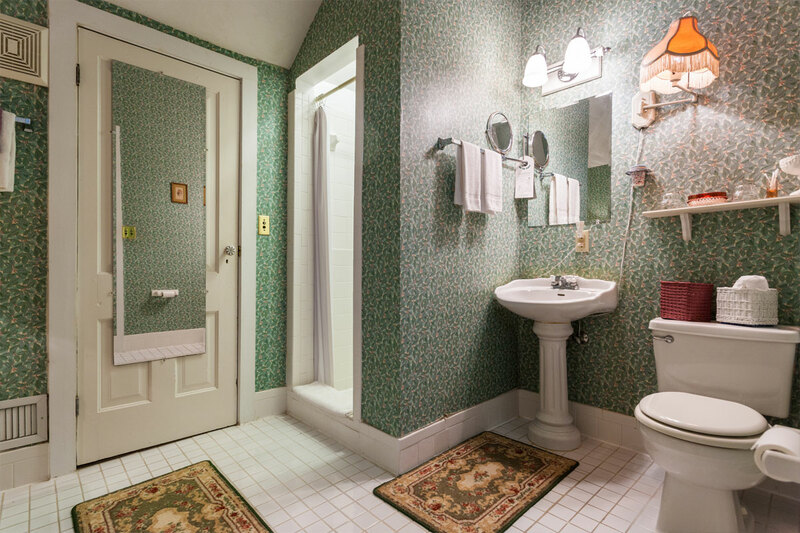 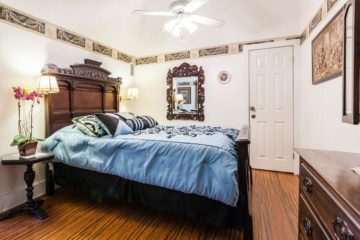 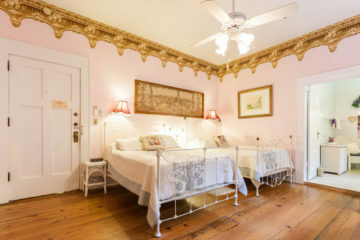 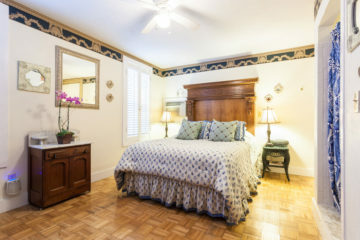 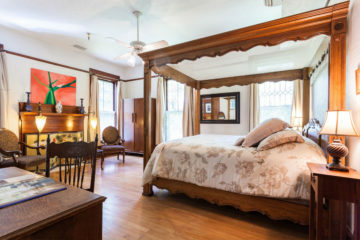 The Jasmine Room features a queen bed, white wicker furniture, A/C, ceiling fan and a large, spacious bathroom with shower. 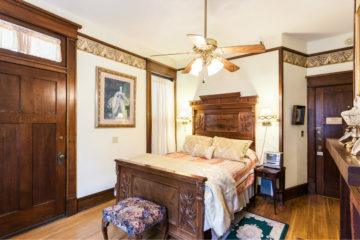 Located on the third floor with leaded glass windows overlooking the rear courtyard. 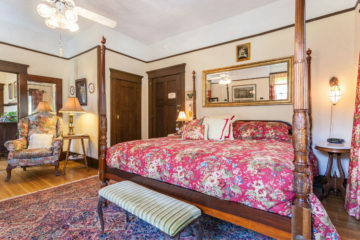 * Price is per night for 2 people.